Zambia has registered impressive economic growth in recent years. However, poverty is still widespread and the country continues to depend heavily on revenue from copper exports. Economic diversification was named top priority for a new government, elected in September 2011. The government spends more than 10 percent of its budget on agriculture, traditionally in large part to support maize production. While recent reductions in the government’s maize subsidy program have led to uncertain times for many small farmers, the reductions have provided an opportunity for farmers to focus on other crops with strong market potential. TechnoServe is supporting key business and industries across the agricultural supply chain to achieve broad-based and inclusive economic growth, from smallholder farmers to food processors. Food processing provides the potential to create necessary jobs in Zambia’s rural areas, as well as strengthening the competitiveness of the broader value chain. In partnership with the Department for International Development (DFID), TechnoServe has launched the year long Private Enterprise Program Zambia in order to provide business development services to informal Zambian retailers. The project hopes to create over 360 new jobs – 40 percent for women – within the food processing sector and connect processors with more than 75 retailers. The food processors are linked to thousands of farmers and provide a ready market for their harvests. The project provides a means for the processing companies to enter the fragmented and sometimes cumbersome markets. Our 2016 Annual Report shared several stories of how TechnoServe projects around the world are creating business solutions with the power to improve lives, including the story of Horsin Kalikeka, whose specially outfitted bicycle helped him to increase his income while improving his community's access to nutritious foods. 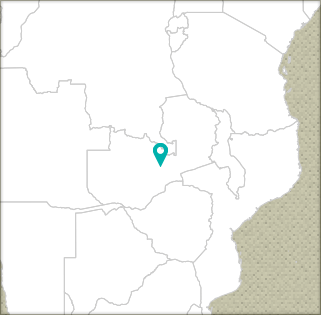 Download an overview of our work in Zambia.